Sharon Energy Committee welcomes new participants to join our work bringing energy conservation ideas and tools to the community. 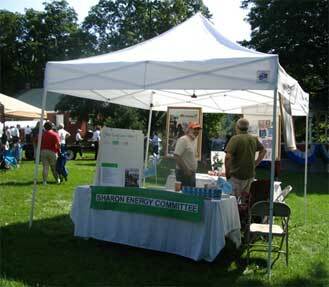 Activities include distributing free energy-saver light bulbs every year at Old Home Days, working with the Selectboard on energy conservation grants, and working on local transporation issues. Mission:Â The Sharon Energy Committee works with the Town, its residents and businesses to help reduce energy use, save money and protect the environment.Â The Energy Committee normally meets at 5:15pm. the 2nd Monday of the month at the town offices.Â You are welcome and encouraged to join us! Current Sharon Energy Committee Members are Dee Gish-Chair, Carol Sheldon, Michael Barsanti and Margaret Raymond. We hope you find the information and links on this page helpful. If you have questions or suggestions, please contact Dee Gish at deegish@gmail.com or phone at 802-763-8539. Heating homes in Vermont accounts for close to 60% of residential energy use. Home weatherization reduces cold winter drafts and summer heat gain, controls moisture, provides adequate fresh-air ventilation for healthy living, and tests appliance combustion for efficiency, carbon monoxide, and adequate exhaust. Homes weatherized through the Home Performance with ENERGY STAR Program and Vermont’s Weatherization Program typically save 25 to 30 percent on heating costs, for annual savings of $750 to $1,000. While much more extensive “deep-energy” retrofits can achieve 75 to 90 percent savings, retrofits cost more and have longer payback periods than home weatherization. Home weatherization is one of the most cost-effective ways to reduce energy use, save on energy spending, and increase home comfort. 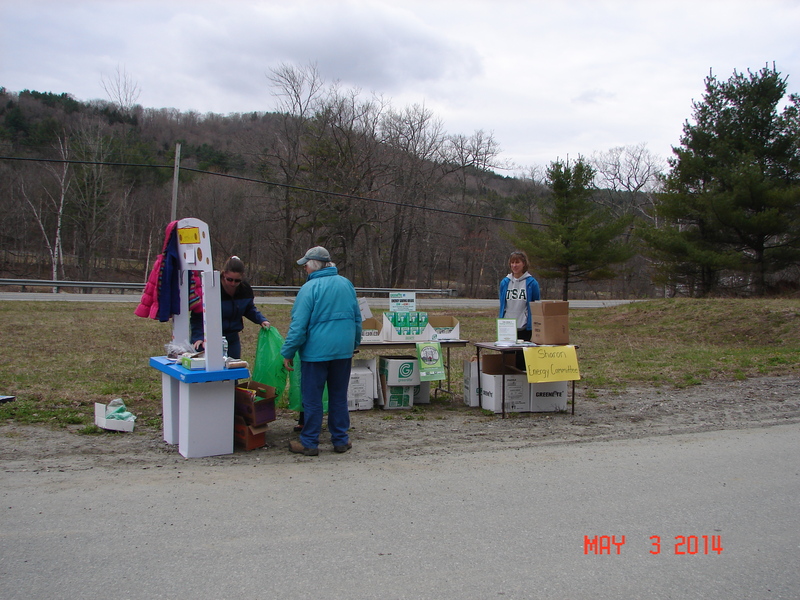 In January 2013, Efficiency Vermont, in partnership with Vermont Energy and Climate Action Network (VECAN) and other organizations, launched a one year effort to increase the number of homes completing comprehensive energy efficiency improvements in Vermont. During the Challenge, town energy committees and other local partners will compete with other communities in their region. These local partners will have a target of weatherizing 3% of the homes within their community in the one-year period. Community prizes will be awarded for the top towns in each region, as well as a statewide award for the top region and town. The Challenge will help Vermont reach its statewide goal of 25% energy savings in 80,000 homes by the year 2020. Sharon’s goal is to weatherize 20 homes. PACE:Â The Energy Committee would like to thank Sharon voters for passing theÂ PACEÂ (Property Assessed Clean Energy) program at last year’s Town Meeting. PACE is a financing program designed to help qualifying homeowners invest in specified energy efficiency and renewable energy improvements. 1. Exchange your incandescent light bulbs for compact fluorescent bulbs.Â Free compact fluorescent bulbs are available at the Sharon food shelf. 5. Buy local.Â By supporting local business, you drive less and keep resources in your community. 6. Reduce, reuse and recycle.Â Compost your food scraps and yard waste.Â This reduces contributions to landfills. 7. Make sure your vehicle tires are properly inflated. 10. Combine your errands and plan your driving route to maximize efficiency and reduce overall driving. practical information on getting around by biking, walking, bus, train and ferry.Â Visit http://www.connectingcommuters.orgÂ for more information. schedules are online atÂ www.Advancetransit.com.